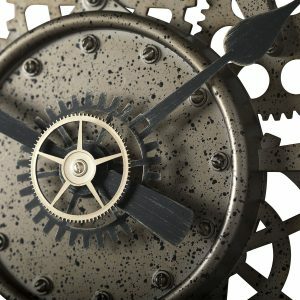 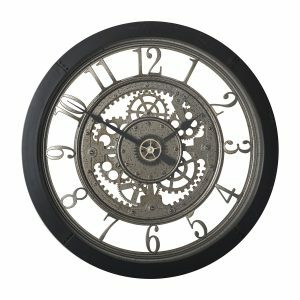 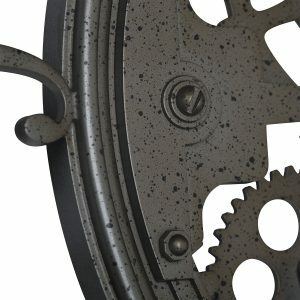 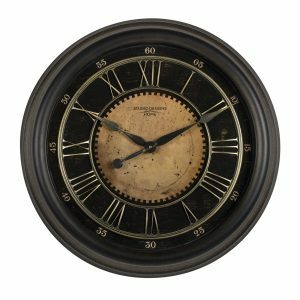 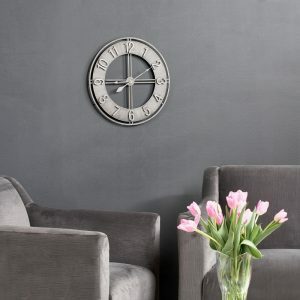 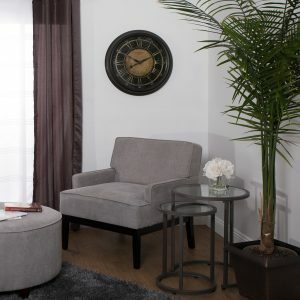 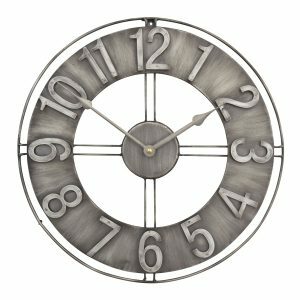 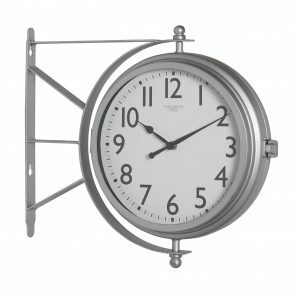 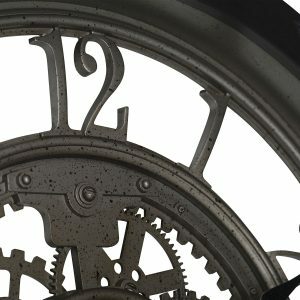 The delicate, clear glass face and distressed gears combine to make the 24-inch Pinnacle Gear Wall Clock by Studio Designs Home a unique vintage timepiece for your home. 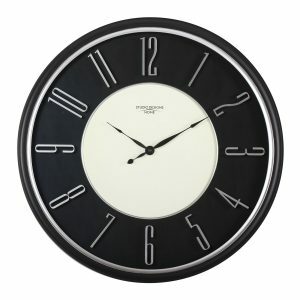 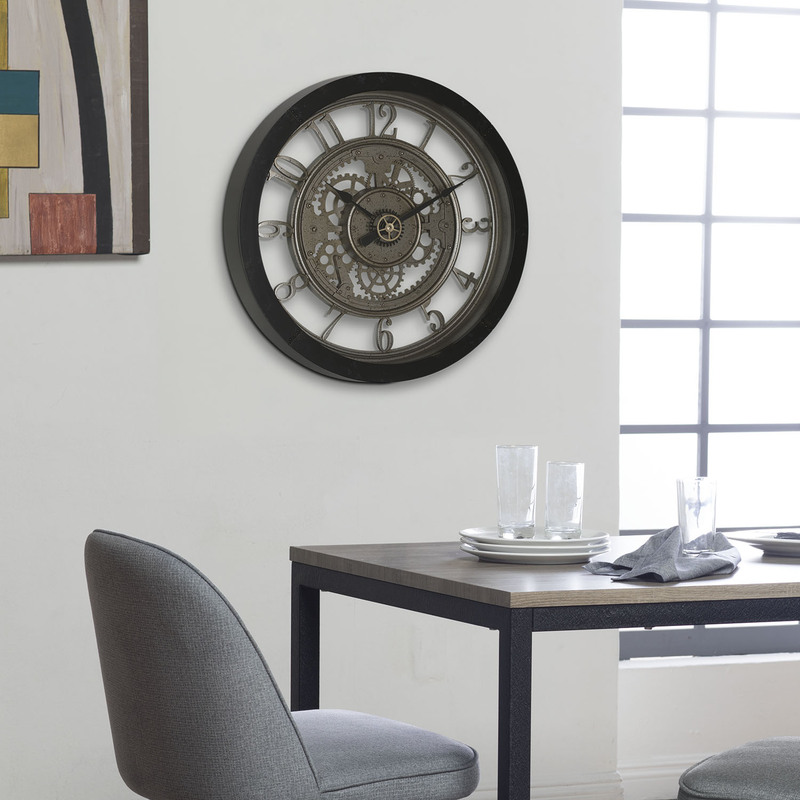 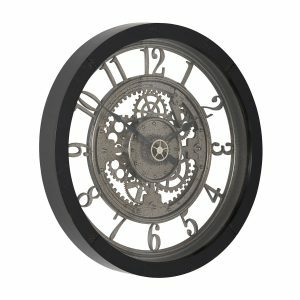 This steampunk inspired wall clock has a thick black frame made of a durable resin that resists scratches and nicks. 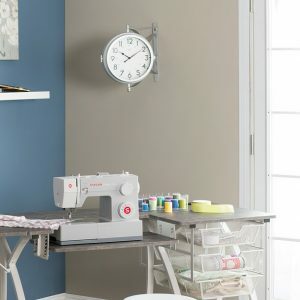 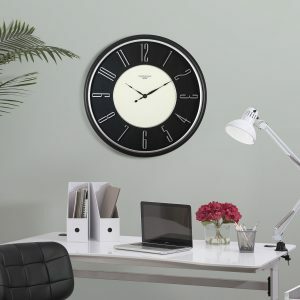 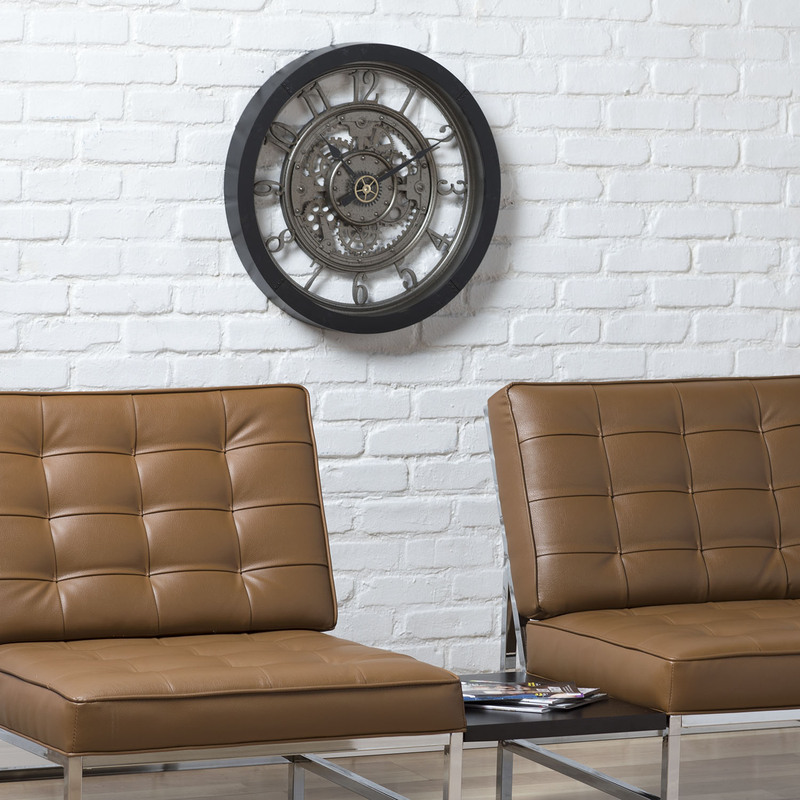 The stylish, industrial look makes it perfect wall accent for your office or living room. 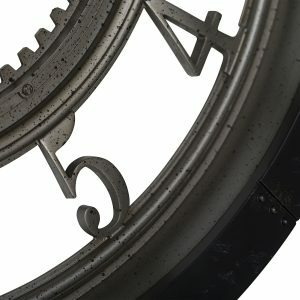 The large Arabic numbers are outside of the gears making them easy to read. The accurate quartz movement and stripped-down appearance make it a strong, artistic choice for keeping time. 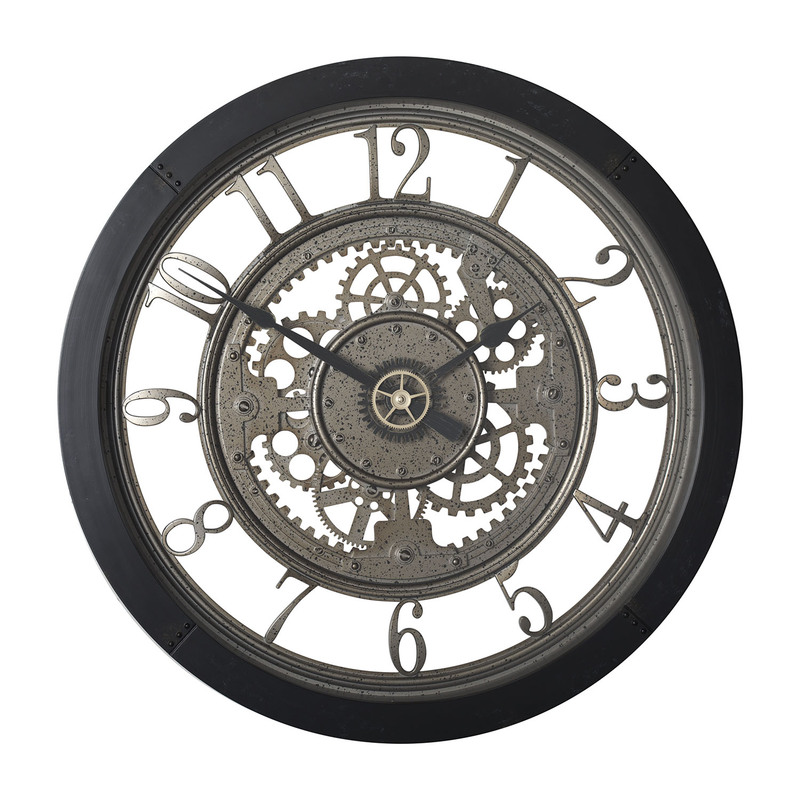 Requires one AA alkaline battery (not included).